Christian Jacquemin is one of the researchers working at Le Limsi. He arranged our visit to Limsi and set up everything for us to see and experience the cutting-edge Limsi Lab. 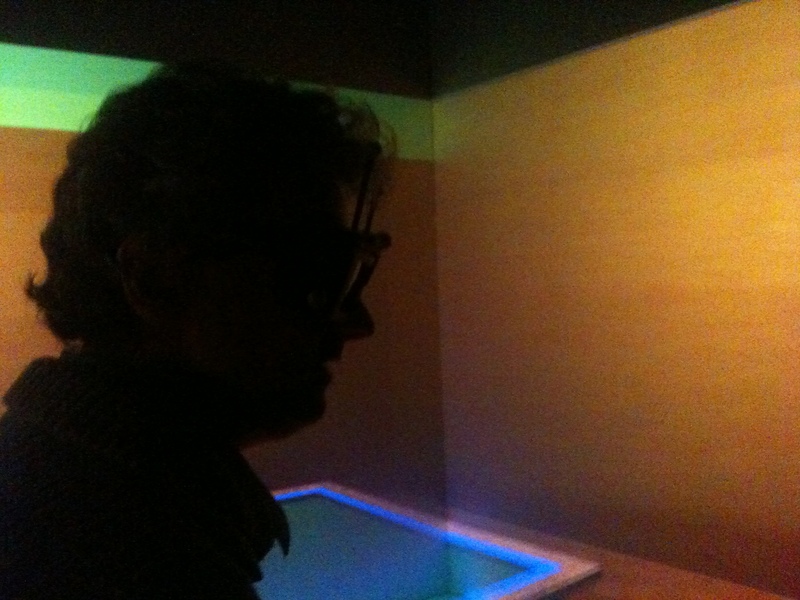 Christian is working together with Experience Lab and we look forward to his visit to ExLab by the turn of 2012/2013. We visited the team working with Augmented and Virtual Reality and Audio Interfaces. Three research projects are undertaken 1) The NAVIG project: This project aims at providing an augmented audio rendering to blind people to help them in their daily life but without preventing them from perceiving their normal audio environment. 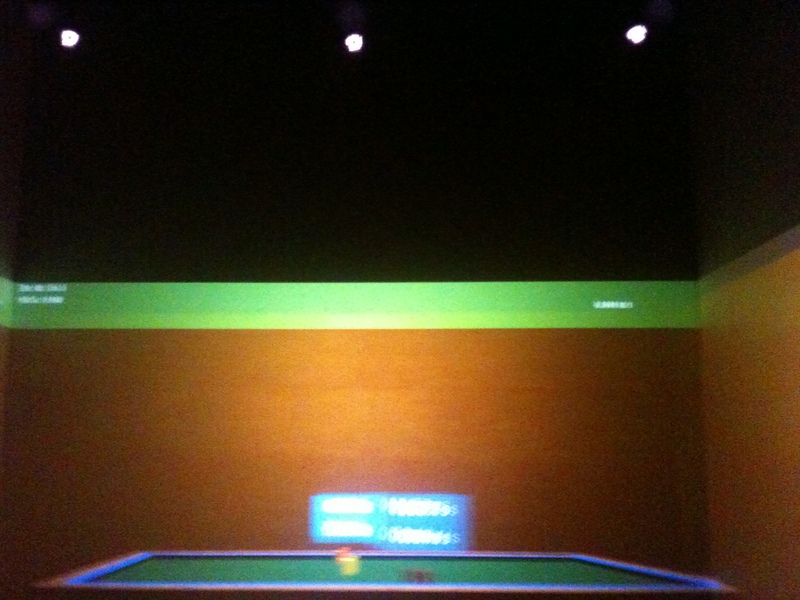 2) The SMART-I² is a spatialized audio-visual rendering system of high-quality. This project aims at increasing intelligibility and immersion sensation in audio-visual interfaces for virtual reality and 3) Audio-visual Renderings for Multimedia Navigation: This axe is looking for ways to increase big database exploration interfaces by adding them 3D sound and by transposing to them metaphors coming from the visualization field. 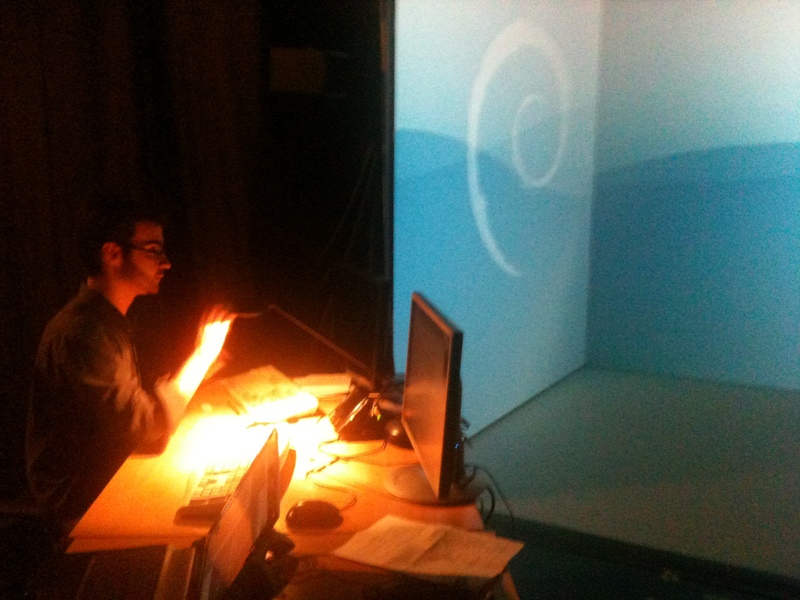 A 3D holographic audio lab. 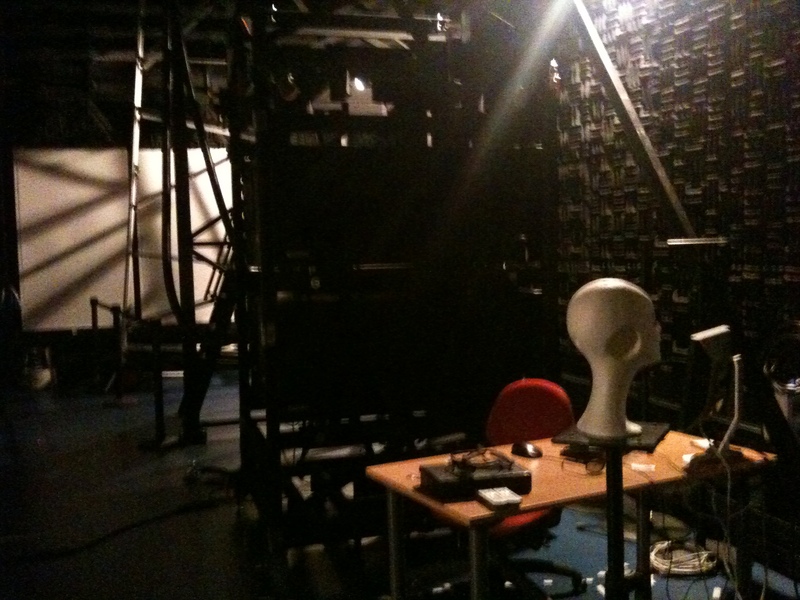 A studio aimed at 3D audio and sound design and studies is located In one of the corners of the huge laboratory with a virtual reality space at the centre. Brian Katz is one of the researchers affiliated with this studio and he joined us on our tour around the Lab. 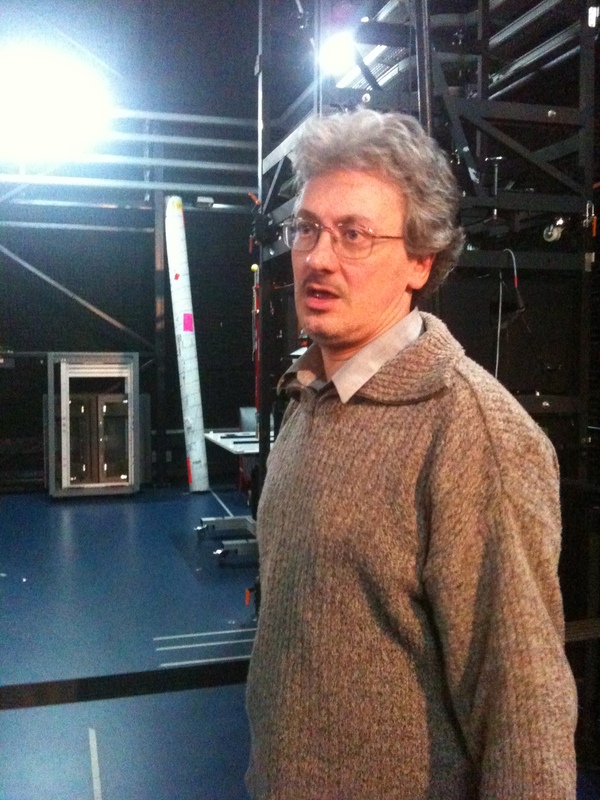 Marc Rébillat showed us around the virtual reality lab. Marc showed us and he explained the construction of the many facilities of the Lab. In the virtual reality space, he introduced a virtual and visual installation to teach students about relativity theory by showing and experiencing the changes that time and space undergo when traveling by the speed of light. With a board game we played against a humanoid avatar with feelings – or at least so it seemed. Whenever the avatar was successful his expression gradually changed to show happiness and success awareness and, of course, also the sadness and acidity when the human player appeared successful. 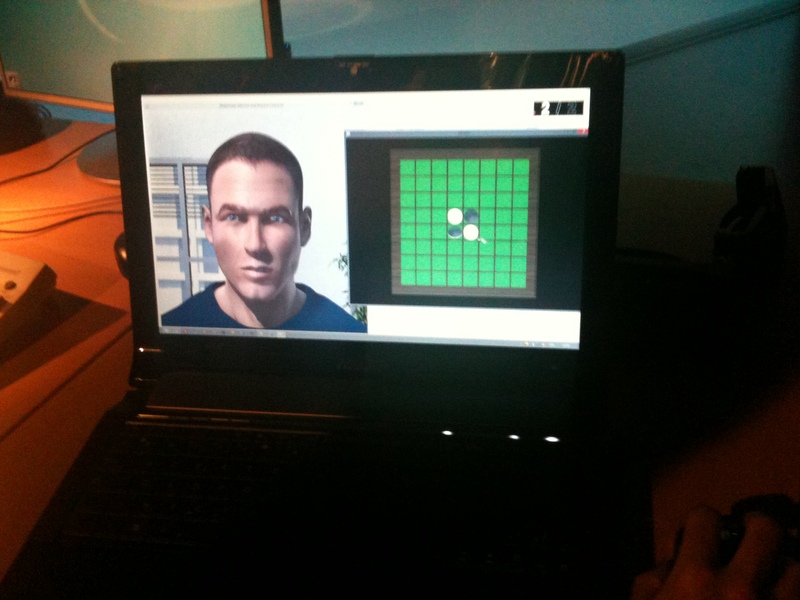 Matthieu is the post.doc who introduced his work with this integration of an emotional model and the humanoid avatar. Finally, in the virtual reality space I sensed what it is like when huge humanoid avatars stare at you wherever you go. It was a scary sensation. Thanks to Christian, Marc, Michelle, Brian, and Matthieu for a great experience. 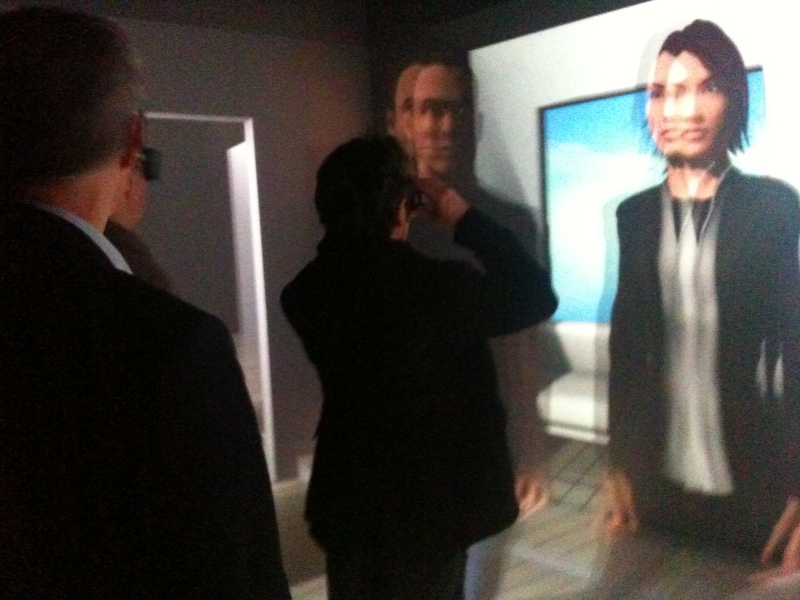 This entry was posted in Blog, Network and tagged 3D audio hologram, Christian Jacquemin, emotional model, image processing, Limsi, Paris, relativity theory in VR, virtual humanoid avatars, Virtual Reality (VR) on 2012-11-23 by sisse.